This year, Toronto got to host Canada’s largest Christmas Tree! This massive 100-feet tall tree resides in CF Toronto Eaton Centre. 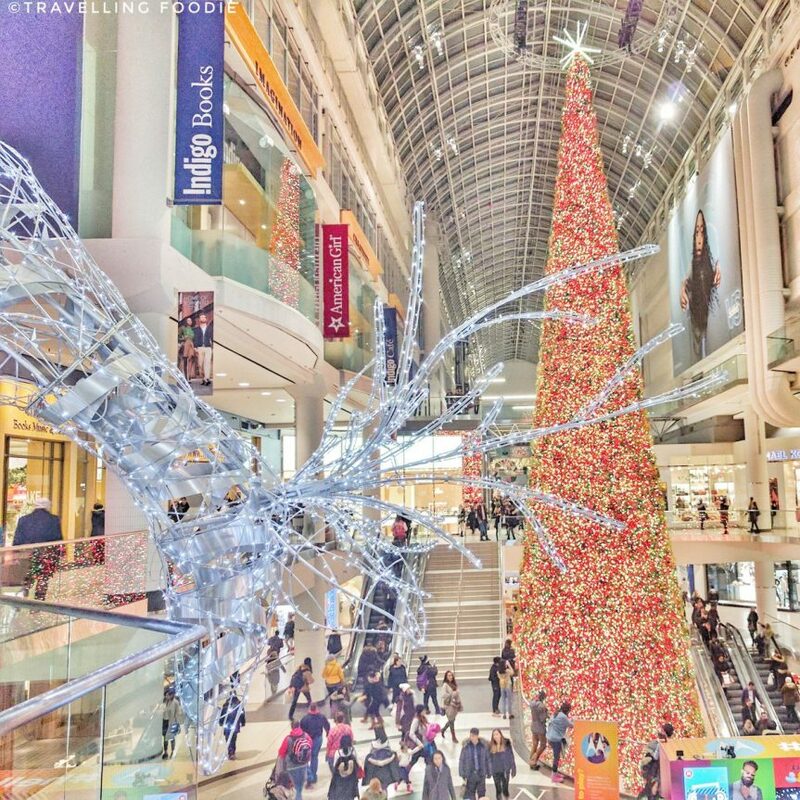 Eaton Centre’s Christmas Tree has always been an attraction to Torontonians during Christmas, and this one definitely caught people’s attention even more. The Christmas tree is 6-feet taller than the one at Rockafeller Center in New York City! It was crazy hard to find a good spot that captures the entire thing, especially with the reindeers! Hopefully I did it some justice :). Have you visited Canada’s Largest Christmas Tree? Posted on December 20, 2016 by Travelling FoodiePosted in Canada, Ontario, Toronto, TravelTagged sights and landmarks. Ashton from Digi-Connex a digital marketing service in Toronto. I absolutely love the tree in the Eaton Centre. I think it looks spectacular! Hi Ashton, I don’t work for the Eaton Centre. This is part of my travelling theme. Thanks for stopping by! Very cool, so are you even Canadian? 🙂 I am happy to be out of Toronto personally for the Holiday season. Cool, hey want to follow for follow? You can follow Digi-Connex.com and I will follow you to.